In 1994 historian David Christian published an article in the Journal of World History entitled "Inner Eurasia as a Unit in World History." The article seems to have generated more attention than the book he later published on the subject. Inner Eurasia includes the lands dominated by the former Soviet Union, as well as Mongolia and parts of Xinjiang. These make up the heartland of the Eurasian continent. Inner Eurasia is a coherent unit of world history, for its societies faced ecological and military problems different from those of the rest of Eurasia and responded by evolving distinctive lifeways. Five dominant lifeways are described here, which have shaped the history of the entire region from prehistory to the present. Inner Eurasia is losing its distinctive features in the contemporary era. What makes Inner Eurasia so distinctive? For one, the absence of major barriers to military expansion make it a natural unit of military and political history. Two of the three largest empires ever created, the Mongol empire and the Russian empire, both emerged in Inner Eurasia. Furthermore, the region's low ecological and demographic productivity sharply distinguishes it from Outer Eurasia: Western and Southeast Europe, and Southwest, South, Southeast, and East Asia. Christian outlines five dominant adaptations that have shaped the region's history: (1) hunting during the Paleolithic, (2) the rise of relatively sedentary but increasingly militarized pastoralism during the Neolithic, followed by (3) the emergence of pastoral nomadism and pastoral nomadic states like that of the Mongols, (4) the growth of agrarian autocracies like those of Kievan Rus and Muscovy, and (5) the Soviet command economy. By the end of the twentieth century, however, Inner Eurasia may have lost its distinctiveness. Changes in industrial techology have begun to erase its ecological disadvantages, as abundant mineral and energy supplies compensate for low agricultural productivity. And changes in military technology have rendered much of the world into the equivalent of the single, vast plain that used to distinguish Inner Asia. SOURCE: David Christian, "Inner Eurasia as a Unit in World History," Journal of World History 5:173-211. UPDATE: In the comments, Randy McDonald notes his review of The Siberian Curse on his LiveJournal blog. It suggests that environmental conditions in Inner Eurasia--at least in the more inhospitable areas--might marginalize the area in a global economy where capital is attracted to more easily exploitable areas. There certainly seems to have been a net population outflow from the less hospitable reaches of Inner Eurasia now that the gulag and deportations aren't supporting an artificial economy there. The West began to have an impact on the rest of the globe from about the fifteenth century. According to the historian Lynda Shaffer in a seminal article in the Journal of World History in 1994, the South began to have a similar impact a millennium earlier. "The term southernization is meant to be analogous to westernization." A process called southernization first began in Southern Asia. By the fifth century C.E. [= A.D.], developments associated with southernization were present in India, whence they spread to China and then to the Middle East and the Mediterranean basin. After 1200 they began to have an impact on southern Europe. These developments included the discovery of bullion sources, the emergence of a new mathematics, the pioneering of trade routes, the trade in tropical spices, the cultivation of southern crops such as sugar and cotton, and the invention of various technologies. Cotton was first domesticated in the Indus River valley and Indian cotton virtually clothed the world until Britain's Industrial Revolution. During the Mauryan Empire (321-185 B.C.E), Siberia had been India's main source for gold bullion, but when that route was disrupted, Indians began to look for gold in the Malay and Indonesian archipelagos, and then in East Africa. By the fifth century C.E., Indian traders and Malay sailors had established sea routes all the way from the Red Sea to China, and even into the Pacific. Until 1621 C.E., the Moluccas (Maluku) was the only place on earth able to produce commercial quantities of cloves, nutmeg, and mace. Sugar may have been first domesticated in New Guinea, but the Indians were the first to discover how to turn it into granulated crystals that could be easily stored and transported. Indians also invented the concept of zero, which the Arabs eventually conveyed to the Europeans. What the West called Arabic numerals, the Arabs called Hindi numerals. 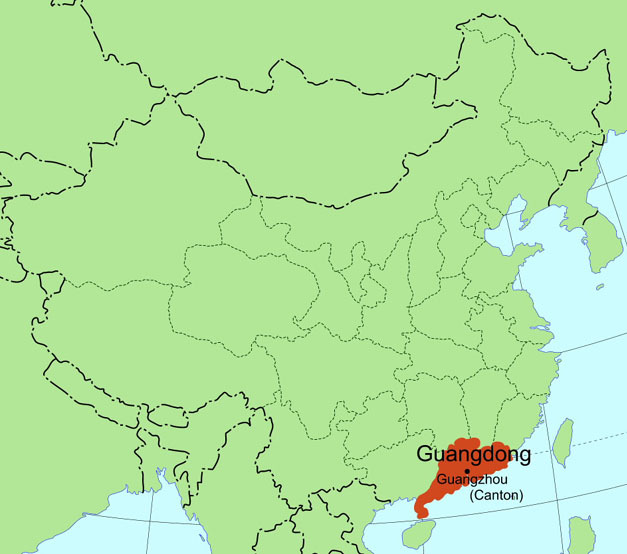 During the period of Southernization in Sui, Tang, and Song China (6th to 13th centuries C.E. ), Buddhism and rice agriculture spread from south to north, and the north became less dominant intellectually, socially, and politically. During the early Muslim Caliphates, sugar, cotton, and citrus fruits spread north. The Arabs were the first to import large numbers of East African (Zanj) slaves to work sugar plantations near Basra at the north end of the Persian Gulf. By 1000, sugar and cotton had become important crops from Iran to Spain. Arabs also pioneered new trade routes and discovered new sources of silver in Tashkent and in Afghanistan that rivaled the later discoveries near Potosi in the New World. After silver became relatively abundant, Arabs sought new sources of gold in East and West Africa. "By 1200 the process of southernization had created a prosperous south from China to the Muslim Mediterranean." The Mongol conquests then helped to southernize northern regions across Eurasia. "Southernization was not overtaken by westernization until the Industrial Revolution in the eighteenth century…. Only after the northwestern Europeans had added to their own repertoire every one of the elements of southernization did the world become divided into a powerful, prestigious, and rich north and an impoverished south perceived to be in need of development." SOURCE: Linda Shaffer, "Southernization," Journal of World History 5:1-21. Nathan Hamm's recent "-Stans Summary" on Winds of Change included a link to an exquisite Library of Congress Exhibition entitled The Empire That Was Russia: The Prokudin-Gorskii Photographic Record Recreated. It includes a biography of Gorskii and a record of the diversity of architecture, ethnicities, transportation, and occupations found throughout the Empire, as well as a section on the techniques of digichromatography that enriched the exhibit. Szekler is another name for the East Transylvanian Hungarians. Originally, the Szeklers were a Turkish group, brought in by Hungary's kings around 1200 to guard Transylvania's eastern borders. According to the 2002 census, there are 1,434,377 ethnic Hungarians in Romania (6.6 percent of the population). This makes them the country's largest ethnic minority according to official figures. Almost 99% of them live in the western reaches and center of the country, in Transylvania, and the regions of Crisana, Maramures, and Banat. Other sizeable minorities are the Roma (officially 535,250, although most estimates are at least twice that figure), Ukrainians (61,091), and Germans (60,080). Hungarians are the majority population in two of Romania's 41 counties, more than a third of the population in another two, and in another two account for over 20 percent. "Radio Erevan [call-in] jokes ... --Can bedbugs make a revolution? --In principle, yes, for in their veins flows the blood of peasants and workers." There must have been many "reluctant elements" in Cambodia at that time because every night the soldiers took someone to kill. At first they did not kill in the light of day. The soldiers always took people at night and killed them in the animal world of the forest. The soldiers were constantly looking for mistakes, indications of sabotage, enemies. They became more and more irrational. At first just the staff and military officers of the former government were killed. After a while, the definition of enemies expanded to include anyone with an education, anyone wearing glasses, then the families, even small children, of the enemy. People were killed for the smallest imperfection--asking a soldier a question, eating food other than that rationed to them, being late to work, anything at all. We used to say these men had pineapple eyes: hundreds of eyes looking for mistakes and reasons to kill. One of the men I had been in the forest with made the fatal mistake of missing his family. he had not adjusted to living in the cooperative and became depressed. His depression made him careless, however, and he began to talk about missing his wife and children, missing his home in Phnom Penh, misisng the feeling of being full. So one night the soldiers pulled him from his hammock and took him to the forest. We heard a single shot. They wanted to kill his idea of what society should be. That was how the soldiers were. They believed that in order to kill an idea, you must kill the body. I came to know all of this not at once but gradually over a number of weeks. When I realized what had happened, I cried to myself, "This is not Cambodia and these are not my people! Where is my Cambodia?" I could not comprehend. SOURCE: Music through the Dark: A Tale of Survival in Cambodia, by Bree Lafreniere (U. Hawai‘i Press, 2000), pp. 81-82. The speaker is Daran Kravanh, whose love for music endangered his life and whose accordion-playing helped save it. I cannot tell you how or why I survived; I do not know myself. It is like this: love and music and memory and invisible hands, and something that comes out of a society of the living and the dead, for which there are no words. UPDATE: By coincidence, the January 29 edition of The Guardian carries a story about a remarkable documentary film, S21: The Khmer Rouge Killing Machine, by one of the few survivors of Tuol Sleng. 1. Speaking is absolutely forbidden. 2. Before doing something, the authorisation of the warden must be obtained. "Doing something" might mean only changing position in the cell, and the transgressor would receive 20 to 30 strokes with a whip. Latrines were small ammunition boxes labelled "Made in USA". For upsetting a box of excrement the punishment was licking the floor with your tongue, torture or death, or all three. Of course, the reporter is John Pilger, so the chief culprits are Richard Nixon and Henry Kissinger, whose work "Pol Pot completed" (that notorious capitalist lickspittle!). Weeks went by and word reached the cooperative leader that I was able to play music. This leader was a woman named Miss Khon. She replaced Mr. Nhek when he was taken away to be killed because the Khmer Rouge believed he had been disloyal. One day, Miss Khon came to see me while I was cutting a log. She asked me, "Are you the one who plays the strange instrument?" "Then I order you to play!" I was so scared I jumped down and ran to get my accordion and find Mr. Chhoeun. I looked for him everywhere and finally I saw him and exclaimed, "We must play music right away for Angkar!" We returned to the leader, who stood waiting. Armed bodyguards were on either side of her. She did not have a gun. She did not need one. If she wanted someone to die, she just used her voice. I was nervous, and my arms were shaking from having cut logs all day. I wondered how well I'd be able to play. Miss Khon asked, "What do you call that instrument?" "It's called an accordion," I said. "Is that a Cambodian word?" she asked. "No," was all I said. "Did you make that instrument yourself?" she asked. "No," is all I said again. I grew more tense. I waited for Mr. Chhoeun to tune his mandolin. Miss Khon grew impatient and yelled at us to hurry. When we were ready to start, I asked the leader what song she wanted. She said she wanted to hear a song called "The Children Love Angkar without Limit." I played and she listened while staring at the accordion. Then she sat down and asked for another song. I don't remember what that song was. Then she requested a third song, "The Children Work on the Railroad." The last song she asked for was a song about how the capitalists killed the Khmer Rouge by hanging them from trees. The Khmer Rouge loved this song because it filled them with emotion and gave them a taste for revenge. As the leader sang along with the music, it appeared some distant emotions were flooding back to her. I recognized the look because I had seen the same expression on my mother's face. Tears formed at the edges of her eyes. I pretended not to notice. After we had finished she stood up, put her hand on my shoulder, and said: "I want you to come play for me at my house." Many times after that she ordered me to play. Once when I went to the leader's house, she asked me if I would like a bag of jewelry in exchange for my music. But what good was jewelry to me? I said, "Thank you so much. But may I have some sugar and oranges instead?" She told me, "Yes, take what you like." I took the sugar and oranges and left her house running to share them with the others. Giving another person an orange was not just giving them an orange. It was giving them a day of life. SOURCE: Music through the Dark: A Tale of Survival in Cambodia, by Bree Lafreniere (U. Hawai‘i Press, 2000), pp. 100-101. As martial Nepal sinks into bloody anarchy, blessed Bhutan begins "operationalizing the concept of Gross National Happiness"! Outside the capital, a dangerous anarchic vacuum is developing throughout the countryside, the majority of which is under the control of neither the Maoists nor the army. Nepal's civil structure is disintegrating in the face of conflict, weak central control and the absence of local elected leaders. Thomas Marks, author of Insurgency in Nepal, says that since 1996, Maoists have destroyed 1,321 village administration buildings and 440 post offices, while police have abandoned 895 stations and teachers have abandoned 700 schools. Little has been done to address the endemic poverty that fuels the conflict, with 42% of the population earning less than $1 a day. Adding to the sense of a nation in flames, past weeks have seen students demanding a republic by setting fires, torching effigies of the King and smashing car and shop windows in Kathmandu. The fear of deepening chaos is now on every observer's lips. "The smell of burning tires on the streets of the capital reeks of democracy in decay," writes Nepali Times commentator C.K. Lal. Says Kenichi Ohashi, the World Bank's country director for Nepal: "The student agitation could get out of hand. And outside the capital there is a risk of things slowly falling apart, a sense that the country is at risk of becoming a failed state. The next 12 months seem pretty critical--it's a race against time." “Gross National Happiness” represents the highest Bhutanese values. The development philosophy of Gross National Happiness was first expressed by His Majesty the King of Bhutan. Rooted in Buddhist philosophy and culture, it provides an alternative to GNP as a measure of, and approach to, development. Gross National Happiness (GNH) is Bhutan's vision of development beyond material economic development and growth. Bhutan had recognized and accepted happiness as a policy concern and objective. However, there are no substantial or innovative studies done to further this concept. This seminar is the first national initiative to bring cross-fertilization of ideas from various disciplines and cross sectors. A Gurkha royal salute to The Argus. Abiola of Foreign Dispatches reports the incarceration of one of the more notorious of the Nigerian scam artists. Ever wondered who the real sources of all those 419 letters you received were? Here's your chance to learn about just one such individual, who goes by the name Fred Ajudua. It turns out he's actually been clapped in jail, which goes to show that Obasanjo can get the the odd thing right now and then. How astonishing it is to learn that Fred - the one and only, the man of the 10-car motorcade, the man of the multi-page spreads in Ovation magazine, the "businessman" so renowned for his exploits that he became known only by his first name, like a Nigerian Cher or Madonna - is sitting in a jail cell in Kirikiri, like a common thief! A lot of nice-sounding fluff, but fluff nonetheless. Still, if there's one thing this article makes clear, it is that the conmen behind these 419 letters are by no means all as dumb people think they are. Ajudua is a crook, but he's no dullard, and neither are most of the other 419 experts I've encountered in Lagos. If those pleading letters from Mrs. Sese-Seko and Mariam Abacha are riddled with spelling and grammatical errors, consider that these errors were put in intentionally, to lull the gullible into a comforting sense of superiority over those dark-skinned dummies who can't find a way to get $26 million out of the country without the help of clever white men like you, Joe Blow, sitting in your la-z-boy in Peoria, Tx; though this story doesn't mention it, the reason for Mr. Ajudua's arrest was his defrauding of one greedy Dutch genteman of the grand sum of $1.7 million dollars. Of course, Fred is now teaching law in prison. "Giving back to the community," I'm sure he would say. He'd have them impersonate groupies or say they were his stage hands or relatives. Once, he even snuck a few over the border tucked in his trunk and hidden among the colorful folds of his stage costumes. The Moe family was a sell-out act during their heyday. They toured Singapore, the Middle East, Germany, Italy and India. They found fans of Hawaiian music in Egypt, Bulgaria, Switzerland, Denmark, England, Sweden and Finland. Moe was in charge of the steel guitar and tap dancing for the group. Moe's wife, Rose, took care of the singing while also sprinkling in some dancing and playing of her own. The Moe children--son Lani, who was born in Japan, and daughter Dorian, born in India--played instruments, danced, sang and were featured in a number of European films. Lani, who died in 2002 at age 73, was something of a child star and became so popular in Germany that when he raised thousands of dollars for an orphanage charity through his performances, he was selected to ride in Hitler's car during a parade. "Asashoryu Reaches Perfection," says today's headline on the Japan Times sumo results page. The 23-year-old Mongolian became the sole grand champion after Musashimaru retired during November's Kyushu tournament. With Sunday's win, he became the first wrestler to win all 15 bouts since Takanohana accomplished the feat in 1996. He rarely took longer than 10 seconds to dispatch each of his opponents. Tokyo's hometown favorite, Tochiazuma, finished with a disappointing 9-6 record, not enough to get him promoted from champion (ozeki) to grand champion (yokozuna) this time around. Kokkai ['Black Sea'], who is from the former Soviet republic of Georgia and is the first European to compete in the sport's elite makuuchi division, finished with a respectable 8-7 record. The other two Mongolian wrestlers in the makuuchi division did no better. Kyokushuzan, nicknamed "supermarket of tricks," finished at 8-7, while Asasekiryu finished at 7-8. UPDATE: In the comments, reader Tom points out that yet another Mongolian Makuuchi division wrestler, Kyokutenho, also finished at a respectable 8-7. The deal is huge. In the past, the Mongolian Finance Ministry has said that since 1947, the country has built up a debt of $11.4 billion to the Soviet Union and its legal successor, Russia. (This assumes that the old Soviet ruble was worth $1.) This puts Mongolia third on the list of Russia's debtors, behind Cuba and Syria, and equates to roughly $4,800 for each of Mongolia's 2.4 million inhabitants. The decision to write off 98 percent of the debt removes an otherwise unbearable burden: the entire debt is well over 10 times Mongolia's gross domestic product in 2002. Even the remaining 2 percent amounts to a quarter of the GDP. But who really came out ahead, Mongolia or Russia? Did Mongolia owe Russia more than Russia owed Mongolia? Maybe this is simply a debt swap, an agreement for each side to write off its uncollectible loans to the other and start with a clean slate. Beyond the opposition's doubts about the procedural matters lies a deeper question: whether there is in fact any debt and whether it should be paid. Economics professor G. Purevbaatar pinpointed many of the issues when he argued that there was no debt to be settled between Mongolia and Russia and, that if there was, it should have been annulled when the Soviet Union collapsed. "Mongolia was like a republic under the rule of the Soviet Union," he said. "When the [Soviet] republics became independent, the matter of debt between the Russian Federation and the republics was never raised." A second option, he believes, would have been to try and recalculate the figures, placing the Soviet loans in Russia's credit column and, in the debit column, the inflated figures, underpriced purchases, ecological costs, land seizures, and terror of the Soviet era. He said that the Soviet Union sold its goods and technology at a 20 to 30 percent premium over their real value on the world market and spent 20 percent employing inefficient Soviet cadres. The net effect was, for example, that Russian work in Mongolia cost two to five times more than it should have. In addition, he contended that the USSR bought goods and raw materials from Mongolia at 40 to 50 percent less than their market value, that it illegally seized two tracts of land, and that its troops ruined 420,000 hectares of Mongolian land. In the 1930s, Stalin-inspired purges cost the lives of many thousands of Mongolians (official estimates put the figure at 36,000) and left over 700 monasteries and temples in ruins. A proper balance sheet of the Soviet era, Purevbaatar believes, might even indicate that Russia should pay compensation to Mongolia. Whether one-sided or two-sided, this debt cancellation seems to clear the decks for expanding economic cooperation. The clearest benefit of the write-off may be a further strengthening of economic ties with Russia, which have been recovering fast in recent years. According to Russian Foreign Ministry spokesman Aleksandr Yakovenko, bilateral trade rose 50 percent over the past three years to around $300 million in 2003. Russia also occupies some key strategic positions in the Mongolian economy. Russia is Mongolia's key supplier of oil and gas. The national railway system is run by a joint Russian-Mongolian venture. There are another 300 joint ventures, with Russian capital particularly evident in mining, metallurgy, and financial services. Altogether, Yakovenko said, these 300 companies produce over 30 percent of Mongolia's GDP and 50 percent of its exports. Stefan Baciu was born in Brasov, Romania, on 29 October 1918, and died in Honolulu, Hawai‘i, on 7 January 1993. Here's a short biography in Romanian of Baciu the "poet, eseist, memorialist, ziarist, critic de arta, traducator, diplomat, profesor universitar" posted by Transylvanian German exiles in Bavaria. Most people have heard of the British Army's famed Gurkhas, but how many are aware of the American Manchu Regiment? It played a vital role in numerous key military campaigns. The German's attempt to make the Bevel Forest one of the fierce, slow defensive maneuvers was thwarted and their lines became utterly disorganized. 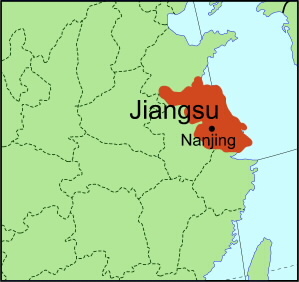 This was one of three successful night moves or raids made by the Manchu Regiment within a period of days that aided considerably in dealing a death blow to the bewildered Germans. The Manchus were operating as a hinge on the "Bulge" at the Rocherather Baracken crossroads. The Manchus fought for eighteen hours against overwhelming odds, destroying seventeen German tanks, and repulsing a key drive in the German thrust. This stand enabled two battalions of the 38'h Infantry Regiment to escape encirclement, and coupled with similar stands by other allied units, caused the German counteroffensive to falter, thereby providing time to regroup and defeat this last great German effort. In 1976 the 1st Manchus were deployed into the DMZ to provide security for a focus of the infamous tree-cutting incident. This incident occurred when two U.S. soldiers were killed by the North Koreans when they were attempting to trim a tree which hindered observation of the North Korean border. Surprisingly enough, the Manchus were one of the oldest infantry regiments in the U.S. Army, first commissioned in 1798. It fought in the War of 1812, the Mexican War, the Civil War, the Little Big Horn campaigns, Cuba, the Philippines, and during the Boxer Rebellion in Peking, where it was awarded the honorary title of "Manchus" and its motto, "Keep Up The Fire." If you feel the need to follow an ever farther outlier, check out this blog by pf, a language freak wandering through Siberia on his own. Oddly, Russia is the only country I've been in where you can't find manaiacal Australian tourists scurrying out wherever you step. In Europe, you can't find a town so small but it's got an Australian (or, if you'll pardon the expression, a New Zealander) in it, or having just left it, or on the way to it. Here, though, I haven't met a single antipodean, curiously. Though a couple Indian billionaires in April stayed in the hotel I stayed at in Suntar. I was called upon to verify their English, which I pronounced to be competent, but clearly not that of a native speaker. All marvelled at my deductive powers, for indeed, the Indians had been born in India, and not, as appearances might lead to believe, in any other country. Americans do occur up here, though. There's one, I don't know if I mentioned him, who lived on Kamchatka for a year in high school, and now is studying Japanese (Japanese!) at Yakut State U. (Yakut State!) for a year. There was another who came to a village near Suntar, I wasn't clear on which, and stayed for two years, or maybe three, hung around the local museum a lot, and then went home, where she turned into a doctor of anthropology. Everybody still remembers her, and, shaking their heads, say, "We've lived with this museum all our lives, and she comes here, looks at it for a couple years, writes some stuff down, and gets a doctorate!" She married a local, and took him home with her, where he now makes Sakha (Yakut) jewelry in North Carolina. I'm sure you can track him down, there's probably not many Sakha (Yakut) jewellers in North Carolina. He's got his own wall, with pictures of him, and a special cabinet for pictures of his brothers, local jewellers, and a picture of his father, touchingly hung next to a photocopy of his death certificate. At one point during a huge antiwar rally in San Francisco that I attended while on a weekend pass from the Defense Language Institute in Monterey in 1969, a speaker standing beneath the flag of North Vietnam began attaching conditions to his hitherto well-received calls for peace. But almost as soon as his "We demand peace" turned to "We will accept no peace until ..." the more-alert members of the crowd began to chant "Peace now! Peace now!" More and more people took up the cry until they drowned out the rest of the speech. For the speaker, peace was a step on the road to partisan victory. For the crowd, it was an end in itself. The crowd won that round but, in typical fashion, the partisan peaceniks were better represented among the organizers, while the naive peaceniks were far more numerous among the organized. Although utterly cynical about the enterprise (and especially the entrepreneurs) of war, The Shadow of Arms is not exactly an antiwar novel. It is written more in the spirit of that partisan peace activist beneath the North Vietnamese flag in San Francisco. Set almost entirely amidst the logistics-and-supply cornucopia behind the lines rather than in the more intense violence of the free-fire zones, it presents the war as essentially a struggle between self-sacrificing patriots (supported by the communist North Vietnamese) and self-indulgent profiteers (supported by the capitalist Americans). This focus on the wartime black market in South Vietnam may well reflect Hwang Suk-Young's own experience in the 2nd ROK Marine Brigade, which was deployed to Vietnam from 1965 to 1972. But it also appears to reflect his vision of Cold War South Korea, whose greedy and corrupt military leaders presumably abandoned the goals of reunification and independence for personal profit. By implication, North Korea is the preserve of self-sacrificing patriots still wedded to nationalist, rather than capitalist, goals. The mercenary issue is particularly nettlesome. It's a toxic label. But it's hard to deny that, to a certain extent, the Vietnam War provided the same kind of stimulus to South Korea's postwar economy that the the Korean War did to Japan's earlier postwar economy (and European wars did to the U.S. economy even earlier). That's why the same review also considered a related book, Mercenaries and Lyndon Johnson’s "More Flags": The Hiring of Korean, Filipino and Thai Soldiers in the Vietnam War, by Robert M. Blackburn (McFarland, 1994). The mercenary nature of foreign involvement in the war is the central theme of Robert M. Blackburn's fascinating nonfiction account of U.S. President Lyndon Johnson's attempt to beg or buy international support for South Vietnam under "The Free World Assistance Program" (commonly labeled "More Flags"), which began in 1964. Blackburn, like Hwang, is a Vietnam War veteran who "had the good fortune to fight alongside, though never with, some units of the ROK Marines, and was never bothered by what label they wore" (155). He is careful to distinguish the soldiers who fight wars from the politicians who make wars, observing that any stigma attached to the word mercenary belongs to the leaders, not to the soldiers. However, Blackburn offers a more subtle analysis of the status of mercenaries. He notes that individual soldiers may choose to fight for a foreign country for reasons other than simply pay, although the pay itself defines their status as mercenaries. Soldiers-of-fortune may fight for the thrill of it. Others enlist because they believe in the cause they are being paid to fight for. Much the same can be said for entire military units, or even for nations that inject their own troops into foreign wars. "In the Spanish Civil War of the 1930s, for example, Franco's Moroccan battalions fought only for pay, while the opposing members of the Abraham Lincoln Brigade fought for a cause. Both units, however, ... shared the common status of mercenaries" (146). Australia and New Zealand sent military units to Vietnam at their own expense (and therefore not as mercenaries) and for their own reasons. In fact their support for South Vietnam began before Johnson's More Flags program. Both countries had helped fight communist insurgencies in the Malay Peninsula, and both were alarmed by what Sukarno and his Communist Party allies were doing in Indonesia. Each apparently considered it in its own national interest to help assure the survival of a capitalist South Vietnam. South Korea had at least as much national interest in the survival of South Vietnam as those two countries did. But it also had a "debt of honor" (46) to repay to the allies who helped assure its own survival little more than a decade earlier. Other countries contributed varying amounts to South Vietnam, from Morocco's "10,000 cans of sardines worth $2,000" to Japan's "$55 million worth of economic assistance from a World War II reparations agreement" (141). Most contributed medical supplies and equipment. Costa Rica (actually the Costa Rican Sugar Growers Association) sent an ambulance (143), and South Korea's first military unit to arrive was a Mobile Army Surgical Hospital (MASH) [emphasis added] (159). However, of all the More Flags allies, South Korea committed the most troops (50,000 out of the 65,000 in 1968 ), suffered the most casualties (4,407 out of the 5,241 killed [xiii]), and reaped the greatest economic benefits in return. Blackburn (64-65) estimates that South Korean soldiers received about $1 billion just in pay, allowances, and benefits alone in 1967-73. A ROK private with a base pay of $1.60 a month could earn $1.00-$1.25 for each day's service in Vietnam. Still, each ROK soldier cost the U.S. only about half as much as a comparable American soldier. "Where are you from?" I ask, directly, for this is what I have learned to do in North Carolina whenever I hear someone from West Africa. She answers, "We live in Cary," once a town outside Raleigh but now a tidy upscale suburb. But this isn't what I mean. "No," I correct her. "Where are you from originally?" And she sturdies herself. "I am from Africa," only it's more like Ah-free-ka, with the emphasis on the Ah and the ree vibrating on her tongue. Still she doesn't take me seriously. "No." I venture, more sternly this time, "what country?" And now she says, relaxing, "I am from Nigeria." She draws it out: Nigh-jyyy-rria. Tears come to my eyes and then my body warms, as if I have had a transfusion. "I know," I tell her, I was born in Ogbomosho." Every Nigerian knows Ogbomosho, in Yoruba land. "Ah," she replies quietly, as if this is a mystery, and we stand for a moment in recognition of a kinship impossible to speak. She is from Ibadan, just down the road from my original home. Her name is Joanna. Finally her husband approaches, for he is in no hurry at all; he wears one of those West African print shirts with the embroidered necks and sleeves to the elbows, and you can see his stomach protruding slightly. "Johnny," she calls out, "this woman is a Nigerian." I am as happy as the child was moments earlier. So few people know me. I am white. I have blonde hair and blue eyes. I teach American literature in the English department of North Carolina State University. No one in my neighborhood would imagine that I grew up in Africa. For years, even I forgot where I am from. So I am thankful for Joanna's discernment. In Nigerian thinking, anyone born in Nigeria is Nigerian. She may be a bad Nigerian or a lost Nigerian, but she is still a Nigerian. SOURCE: Gods of Noonday: A White Girl's African Life, by Elaine Neil Orr (U. Virginia Press, 2003), pp. 2-3. On August 16 , my father's birthday, the Biafrans reached the Ofusu River Bridge which marks the border with the Western region, our region. On my birthday, August 19, the Biafrans were continuing to advance. All around, the savannahs were quiet; there was a lull in the rains. The air was as dry as a stone. Around that beautiful dining room table, I had a birthday party with our little compound clan. I was thirteen and my mother made a white cake with yellow icing and on it she placed a ceramic Siamese cat as a decoration. I wore a dress pink as a carnation. My birthday gift appeared in a small box, a birthstone ring--peridot--in an oval setting, rather plain really, like my face. I didn't like it. I was disappointed. My mother explained that we were in a war and it was not a good time to buy record players when we were so uncertain of our immediate future. She said this to me in our living room after the party and I stared at the philodendron as she spoke, determined not to look at her or signal the least agreement. She could speak if she liked; I would not listen. The Yoruba had finally got off the fence and appeared to be aligned with the North in its mission to keep Nigeria unified. This was a blow to the Igbos. On the radio you could hear the refrain, To Keep Nigeria One Is a Task That Must Be Done. The next day, August 20, the Biafrans attacked Ore, putting them within 130 miles of Lagos and about 90 miles from Oshogbo where I was unhappily viewing my new ring in its box, for I would not wear it. If they reached either Ibadan or Lagos, the Federation of Nigeria would fall like a bulleted elephant. But just as Gowon was about to flee, the British and Americans intervened. Who knows what happened in Ore. We never knew. But the war turned around. Perhaps today there is an old woman in Ore who was there that day, who saw what happened when the Biafrans stopped and then backtracked. Her eyes may hold the secret. SOURCE: Gods of Noonday: A White Girl's African Life, by Elaine Neil Orr (U. Virginia Press, 2003), pp. 238-239. A hundred years ago, the Toraja people did not exist. "Toraja" was merely a derogatory term applied by the Bugis and Makassarese living in the lowlands of the southwest peninsula of Sulawesi (then called Celebes) to any of the many different peoples living in the mountainous regions of the peninsula and central Sulawesi. Today, Tana Toraja (Toraja Land) is an administrative district in the province of South Sulawesi, the people living there comprise one of the four official suku bangsa (ethnic groups) of the peninsula, and the Toraja are celebrated (at least amongst anthropologists, tourists, and television crews) for their fantastic architecture and elaborate funerals. People who have been born in the area of Tana Toraja now call themselves Toraja, bringing this identity with them in their migrations throughout Indonesia and the rest of the world. Before the arrival of the Dutch, the Muslims in the lowlands had regarded the politically fragmented highlanders as a major source of slaves, as well as coffee and other highland products. The Dutch had been a colonial presence on Sulawesi since the seventeenth century but had mainly ignored the inaccessible and agriculturally unproductive mountain areas. In the late nineteenth century, however, they became increasingly worried about the growing Islamic influence in Sulawesi. The animist highlanders were viewed as a pool of potential Christians; the company mandate was to convert as many as possible, thereby aligning the highlands with the Dutch should lowland Muslims get too obstreperous. Starting in 1906, the Dutch influenced the formation of Toraja in four main ways. First, they abolished slavery, bringing peace and relative safety to the area. Second, they introduced Christianity, which would later be adopted as a defense against lowland Islamic fundamentalism. Third, they furthered the cash economy by demanding taxes. And, finally, they drew a line around the Sa'dan area and named it Tana Toraja. Tana Toraja, like Bali, has since become one of the most intensely anthropologized places on earth. The Toraja are famous for their huge, boat-shaped rice barns and their famously elaborate and gory funeral celebrations, featuring animal sacrifices and often a sizable contingent of foreign funeral tourists. Ethnic identity, however, remains a contentious issue. In the 1940s, few Toraja had ever left their village and almost none had left the Indonesian archipelago. By 1978, however, sixty percent of the population was spending extended periods outside Tana Toraja. Many never come back except for the occasional family funeral. Toraja have eagerly pursued education and now work outside Tana Toraja as government officials, professors, medical professionals, and lawyers. At the same time, they have never been above manual labor and so also work in mining and lumber operations on far-flung islands as well as in furniture and clothing manufacture closer to home. [A] rival aristocratic family from another Torajan district visited our village and my Torajan hosts introduced me as "their anthropologist" .... To this, the visitors responded that they, too, had an anthropologist live with them and write about them. After these guests departed, my Torajan family disparaged the other anthropologist's understanding of Torajan culture and proclaimed that my "book" would be "much bigger and better." One of the most famous books on the Toraja, of course, is Nigel Barley's Not a Hazardous Sport, quoted immediately below. 'Anthropology is not a hazardous sport.' I had always suspected that this was so but it was comforting to have it confirmed in black and white by a reputable insurance company of enduring probity. They, after all, should know such things. The equipment laid out on the bed seemed to contest the assertion. I had water-purifying tablets, remedies against two sorts of malaria, athlete's foot, suppurating ulcers and eyelids, amoebic dysentery, hay fever, sunburn, infestation by lice and ticks, seasickness and compulsive vomiting. Only much, much later would I realize that I had forgotten the aspirins. It was to be a stern rather than an easy trip, a last pitting of a visibly sagging frame against severe geography where everything would probably have to be carried up mountains and across ravines, a last act of physical optimism before admitting that urban life and middle age had ravaged me beyond recall. In one corner stood the new rucksack, gleaming iridescent green like the carapace of a tropical beetle. New boots glowed comfortingly beside it, exuding a promise of dry strength. Cameras had been cleaned and recalibrated. All the minor tasks had been dealt with just as a soldier cleans and oils his rifle before going into battle. Now, in pre-departure gloom, the wits were dulled, the senses muted. It was the moment for sitting on the luggage and feeling empty depression. SOURCE: Nigel Barley, Not a Hazardous Sport (Henry Holt, 1988). Strike Camp, Middle St., Honolulu, T.H. We had our 'dancing' 2 night straight--I made $7.00 the other nite and $7.50 last night--gosh, so many Filipino sailors came, last night and the other night, too. I gave Father $13.50. I kept 1.00 for myself. The men tell me for as young as I was, I can follow them easily like fox-trot and waltzes. I'm not even 12 years old yet, but because there are only few girls living here, I guess that's why they let me. There's a saxaphone player, too, only he does not play every time we have a dance. I like the music very much if he plays with the guitar and mandolin player, because the music sound so much better, and it makes you want to dance so much more. I can keep on dancing and forget about eating. Yes, Diary, that is how much I love dancing." SOURCE: Tomorrow's Memories: Diary of Angeles Monrayo, 1924-1928 (U. Hawai‘i Press, 2003). 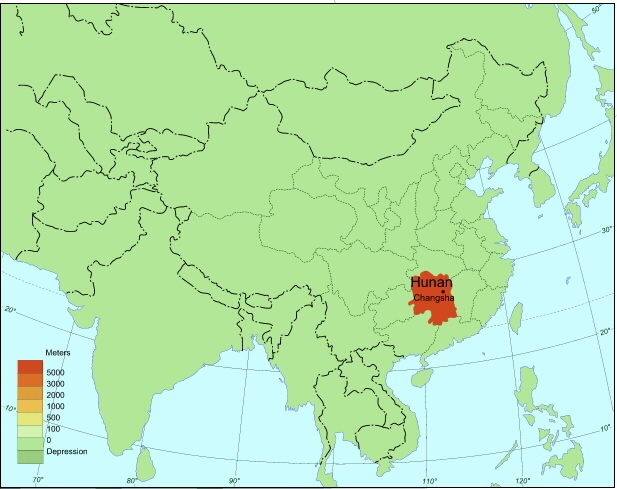 If bureaucratic Beijing ('North Capital') is the northern archetype, hustling Guangzhou ('Wide State') is its southern counterpart. (See map of major cities.) Shanghai, at the mouth of the Yangtze, has a reputation for combining both ideological and mercantile hustle. 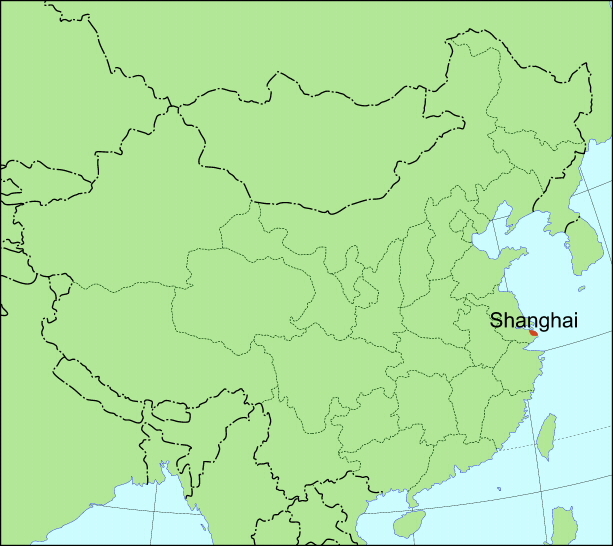 Shanghai literally means 'rise-up sea', which may originally have meant 'the beginning of the sea' (and the end of the river), but I can't find any confirmation. Recommended Browsing: A Visual Sourcebook of Chinese Civilization. Asian Acronyms: Did you teach at GWYX or at Guangwai? Discriminating linguists sometimes distinguish between acronyms pronounced as if they were a word, like NATO and UNICEF; and initialisms pronounced as a series of letters, like IBM or the UN. This distinction breaks down in orthographies that write whole syllables at a time, like Chinese. In Chinese, for instance, acronyms are composed of the initial syllabic characters of (usually) two-syllable words. So, Peking (= Beijing) University, or Beijing Daxue [lit. 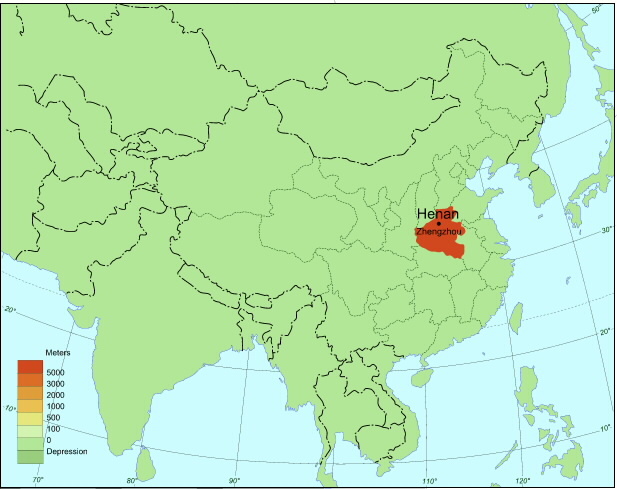 'NorthCapital BigSchool'] becomes Beida [lit. 'NorthBig']. In Korean, Korea University, or Koryo Taehak [lit. 'HighBeautiful BigSchool'] becomes Kodae [lit. 'HighBig']. In Japanese, it's a bit more complicated. Chinese characters can be pronounced not just in their Chinese loan forms, but as native Japanese words that mean (more or less) the same thing. This is what makes Japanese far and away the most complex, least efficient writing system on earth. In either case, each character is usually pronounced as two syllables, since Japanese had to add final vowels to one-syllable Chinese roots in order to pronounce any final consonants, most of which have been lost in modern Mandarin Chinese. (The same thing happens to current Japanese borrowings from English: ranchi < lunch, setto < set, beisubouru < baseball, and so on.) So the acronym for Hiroshima University, or Hiroshima Daigaku [lit. 'WideIsland BigSchool'] becomes HiroDai [lit. 'WideBig']. The name Hiroshima is native Japanese (the Sino-Japanese pronunciation would be Koutou = Ch. 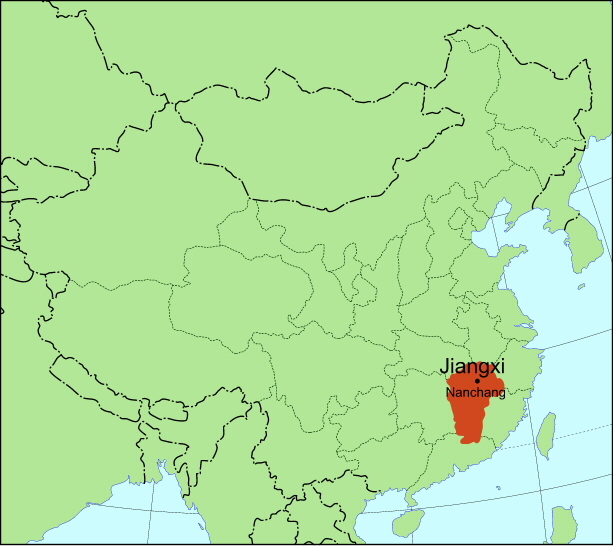 Guangdao), but Daigaku is Sino-Japanese [= Ch. Daxue]. After China adopted the supplementary Latin-based alphabetic pinyin writing system, which is increasingly used in computer input, you could begin to see alphabetic abbreviations, some of them rather alarming and most of them quite unpronounceable. Very few Chinese syllables start with vowels: a- is not uncommon, but e- and o- are rare, and i- and u- are nonexistent. Even worse, initial q-, x-, y-, and z- are way too common. These syllabic acronyms aren't unique to Chinese. Indonesian (or Malay) uses a Latin-based alphabetic writing system, but is chock full of syllabic as well as alphabetic acronyms (and initialisms). Acronyms seem to proliferate under big bureaucracies--especially if the military has a free hand. Examples of syllabic acronyms in Indonesian include the names of provinces like Sulsel < Sulawesi Selatan ['south'], Sulut < Sulawesi Utara ['north'], and Sulteng < Sulawesi Tengah ['central'] on the island of Sulawesi (Celebes); schools like UnHas < Universitas Hasanuddin in Sulawesi and UnPatti < Universitas Pattimura in Maluku (Molucca); and terms like tapol < tahanan politik ['political prisoner']. UPDATE: Like Japanese and Korean, Vietnamese used to be written in Chinese characters and has lots of Chinese loanwords. Judging from the website of Vietnam National University - Ho Chi Minh City, Vietnamese seem to abbreviate by taking the first letter of each separately written syllable. Thus, (ignoring diacritics) Dai hoc Quoc gia Thanh pho Ho Chi Minh [lit. 'University National City Ho Chi Minh'] is abbreviated DHQG-HCM. Ho Chi Minh City is also abbreviated TP.HCM, which I'm pretty sure is often pronounced Saigon. Otherwise, I don't have a clue how these abbreviations are pronounced. FURTHER UPDATE: Korean usage of taehak seems to be diverging from that of its cognates in Japanese (daigaku) and Chinese (daxue). While each term applies to a variety of institutions of tertiary education, Korean now distinguishes between taehak 'college' and taehakkyo 'university' very much along the lines of American usage. Taehakkyo indicates a larger institution that offers graduate education. So Kodae now stands for Koryo Taehakkyo, as the Chinese characters and Korean title on their homepage shows. I don't think the cognate forms, Jp. daigakkou and Ch. daxuexiao, even exist, much less serve a similar function. The goal of this paper is to compare the forced deportations of two Soviet minorities, Soviet Koreans and Volga Germans in the early [20th] century. Most existing Korean studies tend to emphasize the uniqueness of Korean expulsion, thereby missing crucial factors which explain the origins of forced Soviet Korean deportations in 1937. In this comparative study, first, histories of Soviet Koreans and Volga Germans and their forced deportation processes were reviewed, and then the motives of the deportations were examined. The result of this comparative study gives credibility to the espionage theory for the forced deportations. It also strongly suggests that ethnic conflicts over land issues during collectivization as one of the most important motives for the forced deportations of the Soviet Koreans and Volga Germans. The published PDF version of the article generates errors, but a more easily accessible earlier draft is online. In it, Prof. Lee notes that individuals and groups from both minorities were deported earlier on for a variety of reasons, such as resistance to collectivization and various other counterrevolutionary activities, but the mass deportations directly followed the outbreak of war in each region. War between Japan and China became official after the Marco Polo Bridge Incident in July 1937. Over 170,000 Koreans in the Soviet Far East were deported to Central Asia beginning in October that year--after they had a chance to bring in the harvest. Germany's Operation Barbarossa attack on the Soviet Union began in June 1941. About 450,000 Volga Germans were deported to Central Asia in September that year. In all, more than 1 million Soviet Germans were deported. Central Asia has a variety of minority groups, including European settlers (predominantly Slavic), diaspora minorities indigenous to the region (such as Tajiks in Uzbekistan and Kyrgyz in Tajikistan), and people forcibly deported to the area under Josef Stalin (such as Crimean Tatars, Germans, and Koreans).Under Soviet rule, people who belonged to completely different ethnicities and different religions were put together. But in Uzbekistan, for example, Russians and Uzbeks always remained largely separate communities. There was no tension between them simply because they led different lives. They even resided in different places--Russians in apartment blocks, Uzbeks in traditional makhallyas. The collapse of the Soviet Union heralded a rebuilding of national identities in all Central Asian states, which used to be subjected to merciless Russification. By reviving national language, culture, and history, the Central Asian governments tried to restore their nations' pride. Ethnic groups had to adopt to the dominating nation or leave. Thus, after more than 70 years under the Soviet roof, many nonindigenous ethnic minorities chose to return to their historic homelands. Of the ethnic groups, deported to Central Asia by Stalin before and during World War II (Volga Germans, Crimean Tatars, Koreans, Poles, Greeks, Chechens, Meskhetiyan Turks, the Ingushe, and so on), only Koreans and Germans adapted successfully [emphasis added]. Others, such as Chechens and the Ingush, after Stalin's death returned in large numbers to their homelands at the earliest opportunity, in the late 1950s. Among the ways Koreans "adapted successfully" was to abandon their native language and to achieve educational levels second only to Soviet Jews. Among the most prominent are the government official Georgy Kim, who attained one of the highest levels of any non-Russian in the former Soviet Foreign Ministry and now serves as Minister of Justice in the Republic of Kazakhstan; and the writer Anatoly Kim. Until the age of eight, Anatoly Kim spoke only Korean. Then he learned Russian and unlearned his native language forever. Studying painting and later literature in Moscow, Kim's short-stories and novellas have as varied geographical backgrounds as his own life. In some narratives, Kim alluded to the Korean community on Sakhalin or in Kazakhstan, but he never told of the horrible events of 1937. And only when he was in his fifties--after the Soviet Union crumbled--could he visit Korea for the first time. This voyage, as well as his subsequent stay there for a number of years as a professor of Russian, proved a veritable revelation. For Anatoly Kim's discovery of the real Korea was that same "voyage in search of a continent," only that it was not an entirely new one. It was the continent of his roots. One of the most interesting developments now is the attempt by South Korean religious, linguistic, and cultural evangelists to reclaim these "Lost Sheep." Recent Fulbright scholar Steven S. Lee has some very interesting observations on identity questions in his Koryo Saram archive. My project has narrowed to two specific foci: (1) the growing body of literature (mostly in Russian) by Korean Central Asians, and (2) interactions between the Koreans here with Koreans from elsewhere in defining ethnic identity. For this second focus, my driving question is: Who is claiming authority in delineating what it means to be Korean? According to my adviser, German Kim, the South Koreans doing business and mission work here were at first welcomed with open arms by local Koreans, but gradually, these outsiders were perceived as arrogant and condescending, i.e. they considered themselves as the proper purveyors of Korean cultures. Of course, one could hardly call South Korea during the past 50 years as a vacuum for cultural preservation, and more and more, I find it useful to regard ethnicity and tradition as invention, as fiction. This is where my focus on literature comes into play: what I'm searching for is literature that defines ethnic identity--slyly and subtly, I'm hoping. Considering current attempts at religious awakening within the Korean community, this story is somewhat interesting. The author clearly intends to associate religiousness with ethnic identity; religion as both provoking and salving the dilemmas of ethnicity. Death (the ultimate displacement) provokes the narrator’s (inherent, insufferable) sense of alienation, which is exacerbated further when he visits his historic “motherland,” where, for some reason (probably to make a clever mother-mother connection, one lost figuratively and one lost literally), he can’t stop thinking about his deceased mother. His unstated dilemma (alluded to at the party) is one of faith--the aspersions cast on Providence and ancestors by his displacement and, perhaps, by his saintly mother’s death. The funeral scene serves as the uneasy nexus of spirituality and ethnicity, the deceased mother all alone in a sea of Russian names, the bow as a futile attempt to recoup loss; the mound of snow may be a reference to traditional Korean graves. The dog doesn’t quite work as a symbol. My adviser, German Kim, returned from some conferences in East Asia last week, and was not at all amused when I began panning Anatoliy Kim. Apparently, he's a respected Russian author, but according to German, his speciality is surreal "Russian-soul" questions rather than ethnic writing. I'm now translating a longer, much more promising story by a Lavrentii Son, and I'll post whatever I've done by next week then. Sadly, I've been told that after a period of euphoria in the early '90s, interest in ethnic literature and cultural reclamation has waned; people have a hard enough just making ends meet. As the U.S. prepared for the final assault on Japan one key to success was knocking out the heavily fortified monitoring station on Chichi Jima, an island about the size of Central Park. But in the course of their daring mission, eight flyboys were shot down. Only one pilot could be rescued--his name was George H. W. Bush. His fellow fliers were not as lucky. They were captured and subjected to a fate so horrible that the records had been sealed until now. Another recent book, Sorties into Hell: The Hidden War on Chichi Jima, is rather more explicit about that horrible fate. In October 1946, Colonel Presley Rixey arrived by destroyer at Chichi Jima to repatriate 22,000 Japanese who had been bypassed during the war in the Pacific. He discovered that the downed flyers had been captured, executed, and eaten by certain senior Japanese officers. This is the story of the investigation, the cover-up, and the last hours of those Americans who disappeared into war's wilderness and whose remains were distributed to the cooking galleys of Chichi Jima. There also appears to have been a long-running cover-up involving U.S. nuclear weapons on Chichi Jima and Iwo Jima during the 1950s and 1960s. But I'd like to focus on the what happened to the first permanent settlers in the Bonins. (The Sino-Japanese characters for Bonin--actually Bunin, now usually pronounced Mujin--mean 'absence [of] people'.) Here's one rough summary that bobbles a few details. Following the loss of the Marianas (Guam, Saipan, Tinian, etc.) in June 1944, Iwo Jima was heavily fortified as part of Japan's inner ring of defenses. The Peace Treaty of 1951 recognized Japan's "residual sovereignty", but the United States maintained its occupation and control from 1945 to 1961 [actually 1968] when the island were formally returned to Japanese control. In June 2003, an Asian studies conference in Japan devoted a panel to Exploring the Rich History and Culture of the Ogasawara (Bonin) Islands. A sampling of the abstracts follows. Daniel Long (Tokyo Metropolitan University), The Unknown Linguistic Heritage of the Ogasawara (Bonin) Islands - The Ogasawara (Bonin) Islands are unique throughout not only Japan (of which they are part) but indeed throughout the world. They were settled in the early 19th century by a mixed band of settlers speaking European, Polynesia and Micronesian languages (among others). The descendents of these settlers remain on the islands today and speak English (ranging from Standard English to a more local variety) and Japanese as well as a Japanese-English Mixed Language. These linguistic abilities play a large role in the formation of the Bonin Islander identity, and in turn this sense of a unique identity reinforces language usage. Robert Eldridge (Osaka University), The U.S. Naval Administration of Ogasawara Islands, 1945-1968 - The United States occupied and administered the Ogasawara, or Bonin, Islands from 1945 until 1968, when the islands were returned to Japan.... While the occupation was undertaken for strategic reasons, much like that over Okinawa, there were several differences in the way that the administration was organized. Firstly, the actual direct administration did not begin until 1951. Secondly, the Navy was in charge. Thirdly, only islanders of Western descent were allowed to return to the islands and former residents of Japanese descent were denied permission to return throughout the period. Fourthly, education and local government was undertaken in English (and not Japanese as was the case in Okinawa). Finally, there was a strong effort by some U.S. Naval officials to encourage the permanent separation of the islands from Japan and the adoption of U.S. citizenship by the islanders. Junko Konishi (Shizuoka University), The Adoption of Micronesian Song and Dance by Ogasawara Islanders - It was the Oubeikei ['Euro-American heritage'] Islanders of Ogasawara who brought the Micronesian-Japanese songs and the Nanyou odori ['South Seas dance'] to Ogasawara. The original forms of these songs and dance were the product of a cultural syncretism between Japanese and Micronesian cultures under the Japanese administration (1914-1945). Oubeikei-Ogasawarans adopted these cultural forms, which reflected the ambiguous identity of the Japanese-educated Micronesians. Soon after it was introduced into Ogasawara in the 1930s, the Nanyou odori spread among Japanese-Ogasawarans as well, and was transformed into its Japanese form with respect to melodic movements, the pronunciation of the lyrics, and body movements. The Micronesian-Japanese songs, on the other hand, were sung mostly in private by some Oubeikei-Ogasawarans until 1988 when a cassette tape of island songs (including these) was released to commemorate the 20th anniversary of Ogasawara's return to Japan. Songs on the tape, distributed among the villagers, maintained their distinct forms, especially in melodic movements. The Bonin Islanders: Ethnogenesis and Exodus - Before the Japanese administration took over the Bonins in 1875, the 70-odd residents there were a motley crew of diverse heritage tracing back to Europe, North America, Africa, and various Pacific Islands ranging from Hawai‘i and Tahiti to Guam and Pohnpei. But, vis-à-vis the Japanese, they abruptly became Bonin Islanders, an ethnic minority subject to the Emperor, like the Ainu in Hokkaido. It was a classic case of ethnogenesis. Until 1945, it behooved the Islanders to identify themselves as Japanese, to intermarry with Japanese settlers, to move to the main islands to pursue educational or business opportunities, even to serve in the military. But when the Americans took over after the war, residual English language skills and non-Japanese heritage conferred more advantage. When the Americans offered them the opportunity to choose U.S. citizenship when the Bonins reverted to Japan, more than a few grabbed the chance and joined the exodus to Guam, Hawai‘i, or California, where they dissolved into the larger population, as did those who remained behind as Japanese. Only subtle traces now remain of their unique, but ephemeral, common heritage. UPDATE: Prof. Daniel Long of Tokyo Metropolitan University, perhaps the world's foremost Boninologist, was kind enough to suggest a few corrections and elaborations, which have been incorporated into the text above. He assures me that the farflung former Bonin Islanders hold worldwide reunions every year or two. I should also have mentioned that Tom Tyler credits Danny Long for his electronic text and reproductions of photographs from Cholmondeley's work. Prof. Long has also compiled a website on Bonin language and culture that includes a very extensive bibliography of sources (at least when the TMU server is working, which seems to be every other week). The descendants of 19th century American settlers on one of Japan's Bonin Islands are caught up in WW II. Though loyal to the emperor, they are suspect. When 12-year-old Matt Bancroft's mother is killed by a strafing American plane, he vows kataki (revenge). In the confusion of Japan's collapse, Matt assumes the identity of a dead son of missionaries and is "repatriated" to America. Forty years later, he is manipulated by a rabid Japanese secret society into thinking that Vice-President Bush was the "murdering" pilot. Gotta watch out for those missionary kids.